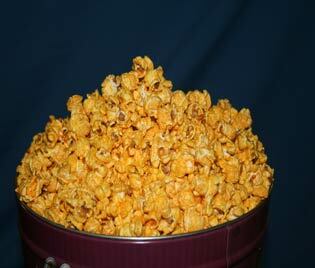 Our Giggle corn is as large as it looks, it’s popped fresh by hand – using only the finest ingredients. 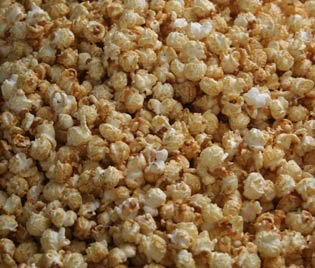 Gourment corn, corn oil, sugar and salt – with just the right amount so that you get both the sweet and salty. A treat you are sure to enjoy to provide you with a POPPING day !! This is our best corn, we take our best kettle corn, blend it with our caramel corn… we’re not done yet, … we then drizzle rich imported Belgium dark and white chocolate over the corn. This is GIGGLE CORN, you will dream about it…. 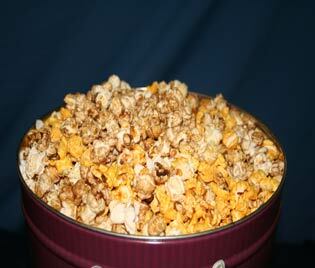 oh my gosh it’s GIGGLE DRIZZLE CORN! 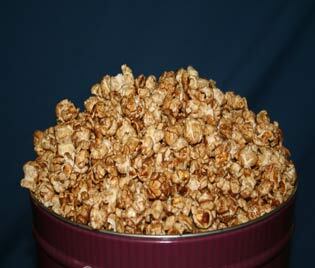 Our caramel corn is popped fresh using real butter, brought to the right temperature so that is ready to crackle and will delight your taste buds, a crunch and buttery sweetness – you need to taste our caramel corn! 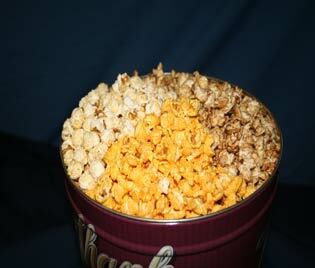 Cheese Kettle corn, we popped the corn in the kettle and then pour real chedder cheese over the corn. Enough left over to lick your fingers – only for real cheese lovers! 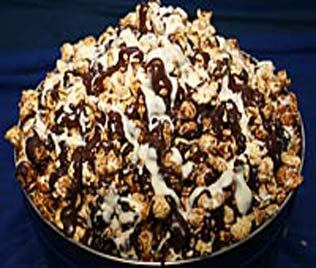 We take our best kettle corn, blend it with our caramell corn… we’re not done yet, … we then drizzle richimported Belgium dark and white chocolate over the corn. This is GIGGLE CORN, you will dream about it…. oh my gosh it’s GIGGLE DRIZZLE CORN… and wait… then add tiny soft mini marshmellows….! Our Traditional blend is : kettle corn, caramel corn and cheese corn… but you can order a custom tin of any varitety you would like.. What a gift…send it to college, a new baby, congradulations, thank you, or enjoy it yourself and have a POPPING day! If you haven’t tried this… you are missing out… Kettle corn, Caramel corn and cheese corn … all mixed together, what a treat it’s a Giggle on Chicago.